Free Starburst Spins - Get 300 Free Spins On Starburst! The Starburst slot by Net Entertainment is by far the most popular online slot machine since its release in 2012. The true classic Starburst has been an instant hit with UK casino slot players with its great futuristic theme, 10 win lines, stacked symbols, expanding wilds and frequent respins. Get 200 extra spins on Starburst now! Starburst is a 10 win line slot with a unique expanding wild feature. Every time one of the coveted Starburst symbols lands on reel 2,3 or 4, the entire reel becomes wild, and awards you with a free respin. It is possible to get up to three full reels of wild Starburst symbols, giving the potential of huge wins. The maximum payout is 50,000 coins in one spin and bet sizes range from 10p to £100 per spin. Due to the enormous popularity of Starburst, most UK licensed online casinos offer extra Starburst spins as part of their welcome bonus package, either as a no deposit bonus or as part of a welcome package. It is possible to earn hundreds of extra Starburst spins if you know where to find them. Did you know that there is one casino (Casumo) that offers 20 no deposit free spins and 180 extra Starburst spins on the first deposit? This is on top of their generous match bonus of 200% up to £50. In our book, that is one impressive bonus deal. Which UK casinos give away extra Starburst spins? We have compiled an extensive list of UK licensed casinos that offer free spins bonuses on Starburst. Read through our list below, pick one that you like and start spinning! Casumo: TOP CHOICE. One of our favourite casinos, Casumo offers a fantastic welcome package: make a first deposit of £20 or more and you will get a very impressive 200% bonus plus 200 extra Starburst spins. Casumo comes highly recommended! Sloty: BRAND NEW! Sloty Casino is a brand new casino that is owned by Genesis Global Limited Casinos, which also operates the respected online casinos Spinit and Casino Cruise. It offers players a vast range of over 1,200 online slots from top providers such as Netent, Quickspin, Play ‘n Go and Microgaming. New players get a 100% bonus plus a whopping extra 300 spins on Starburst on their 1st deposit. Spinit Casino: NEW! This online casino was established in 2016 and offers players an outstanding experience with a superb slots selection and a generous welcome package. Spinit Casino gives a 100% bonus up to £200 and 200 extra spins on Starburst to all new depositing players. Mr Green is a classy online casino that has a vast portfolio of great slots. They also offer a generous 100 free spins on Starburst if you make a first deposit of £20 or more. GUTS: one of the best new casinos to emerge in the past years, GUTS has an excellent deal for new customers: 50 free spins on your first deposit and 50 more when you make a second deposit. All free spins at GUTS come without any wagering requirement: everything you win is yours to keep. Vera & John offers a fun and unique casino experience. Besides a great loyalty programme, more than 700+ casino games and super fast withdrawal times, Vera & John offers new desktop players up to 123 extra spins on Starburst. Mobile players get their free spins on Spinata Grande. Casino Cruise: all aboard! Pack your bags, don’t forget the sunscreen and go on a casino cruise! One hundred Starburst extra spins are waiting for you if you make a first deposit of £20 or more. Superlenny: with a deer as a mascotte, Superlenny “Deers you to bet different”. A very impressive 150 extra Starburst spins is up for grabs, 50 free spins on each of your first three deposits. Superlenny has no wagering requirements on all free spins. Thrills: this super stylish casino is not only gorgeous to look at but will give you 20 extra super spins on Starburst worth 50p each without any wagering requirements if you make a first deposit of at least £20. 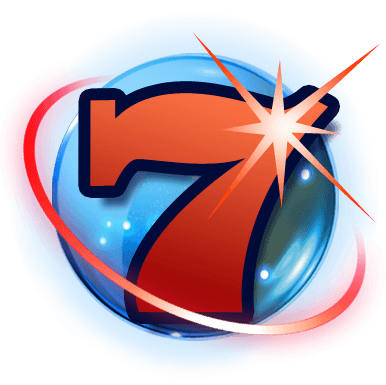 Free Spins Casino will give you extra slots spins on every deposit that you make, including Starburst. Get up to 999 free spins on Starburst per deposit at Free Spins Casino. An excellent choice if you don’t want the hassle but love extra slots spins. Royal Panda: get treated like a king Royal Panda Casino: 10 free spins just for registering. Royal Panda has an impressive history of massive slots payouts. Maria Casino is a friendly casino with an emphasis on slots and bingo. Maria Casino offers a huge selection of Netent and WMS slots, bingo and scratch cards. New depositing players get 40 extra Starburst spins.